While New York has successfully moderated its reliance on the prison system as a tool to address social and criminal infractions, black and Latino New Yorkers continue to have more interactions with the justice system and receive harsher punishments than their counterparts of other races. In order to diminish the impact of racial bias, the breadth and cause of racial disparities must be critically examined. 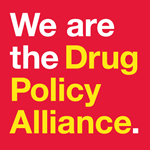 In order to reduce racial disparities in New York's criminal justice system, The Drug Policy Alliance advocates for the passage of legislation that will create a New York State commission on racial disparities and promote the use of racial and ethnic impact statements for all bills that will potentially increase New York's correctional and child welfare population or reduce access to public benefits.